A 34-year-old woman accused of intentionally shooting to death a 64-year-old man she called her “sugar daddy” was found guilty of first-degree murder Friday by a Bucks County jury. Jennifer Morrissey, 33, of Bensalem, was convicted of criminal homicide, possessing instruments of a crime and tampering with evidence in the Aug. 6, 2017, death of Michael McNew. McNew, a pharmaceutical executive, had been found in a chair inside his home along the Delaware River in Washington Crossing two days later, dead of a bullet wound to the head. He had been shot once in the face with his own .380 semi-automatic handgun. After the shooting, while incarcerated at the county prison for an unrelated matter, Morrissey told a cellmate that she had killed McNew accidentally. The cellmate said that Morrissey, who referred to McNew as “my sugar daddy,” said she had knocked McNew’s gun from his hand when he brandished it. Morrissey maintained that she struggled with McNew for control of the gun, pushed him into a chair and accidentally shot him while trying to unload the weapon. The cellmate told police that Morrissey told of returning to the house after the shooting and trying to make it look like a robbery scene by turning McNew’s pockets inside-out and stealing his gun, phone and laptop computer. Morrissey further tried to conceal her role by sending two innocuous messages to the victim via Facebook Messenger. One mentioned some new colors she was considering for her motorcycle; the other asked how a recent doctor’s visit had gone. 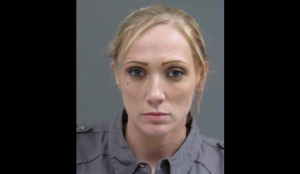 The case was investigated by the Upper Makefield Township Police Department and Bucks County Detectives, and was prosecuted by Rees and Assistant District Attorney Rose E. McHugh.